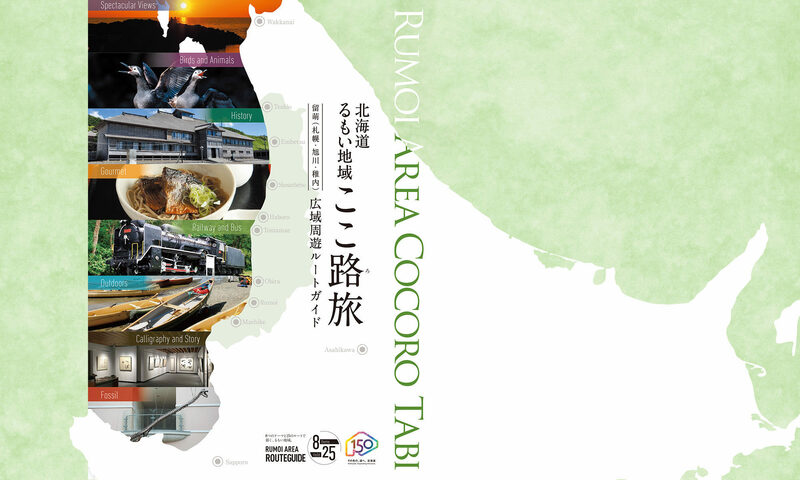 These hand-illustrated maps of each municipality in the Rumoi area were planned and published by the Rumoi Federated Board of Tourism. 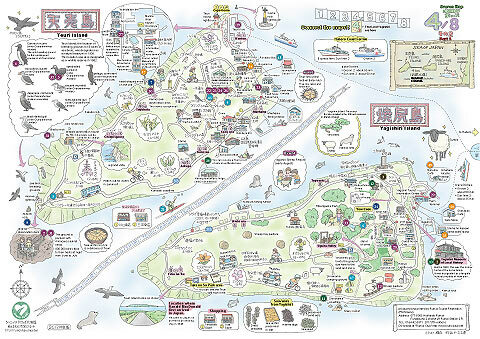 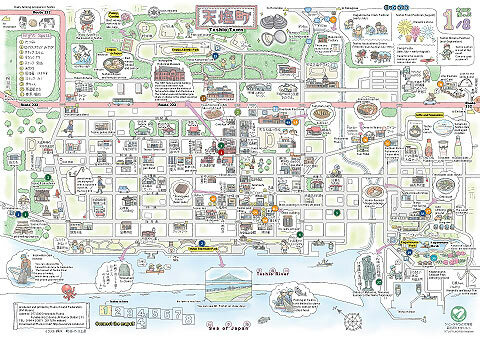 A map of each of the 8 municipalities and a combined map for the islands Teuri and Yagishiri, make a total of 9 maps. 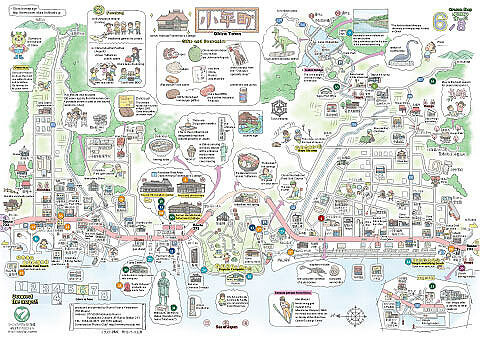 The boards of tourism for each municipality distribute these maps throughout their respective region. 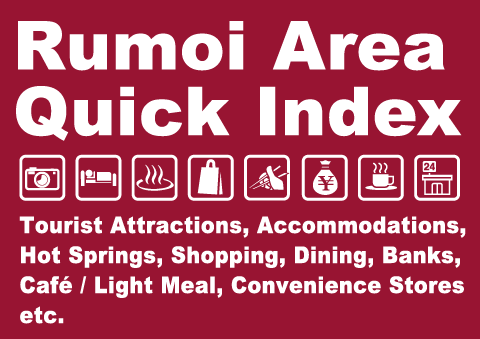 You can connect the Ororon Maps to create a single (3 meter) map of Rumoi Sub-prefecture. 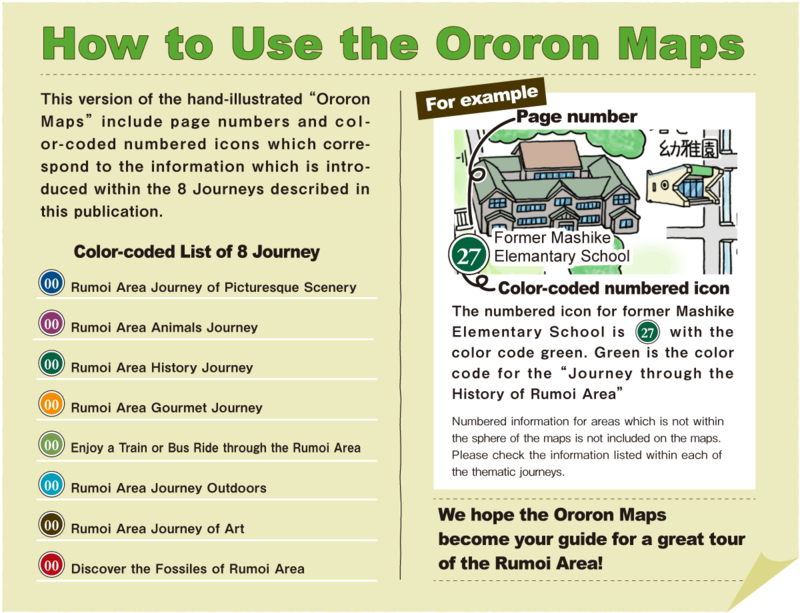 *The information on the version of Ororon Map printed in this publication is updated as of December, 2017. 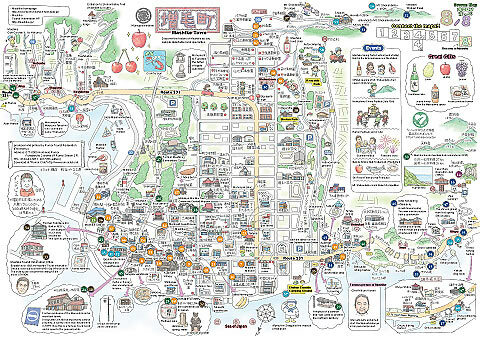 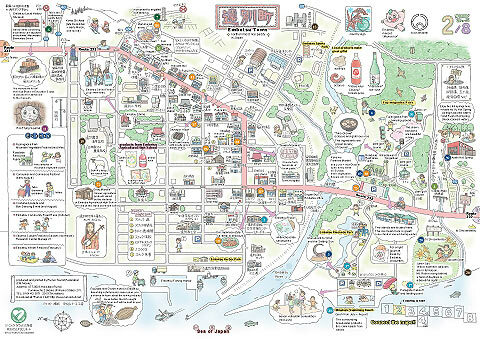 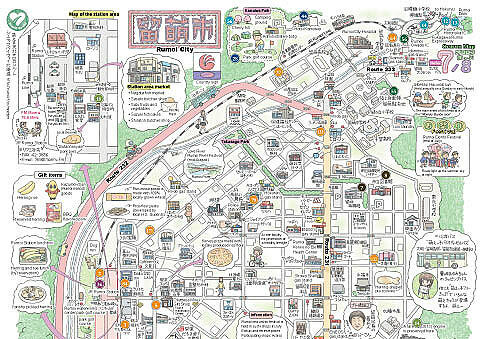 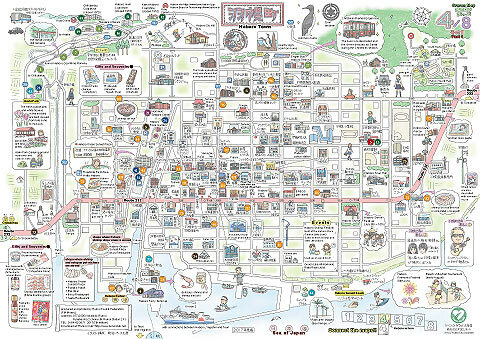 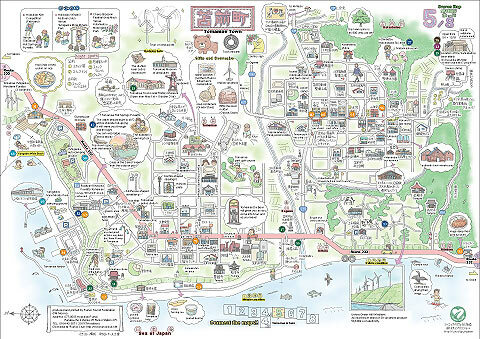 You can also view this map on our website. 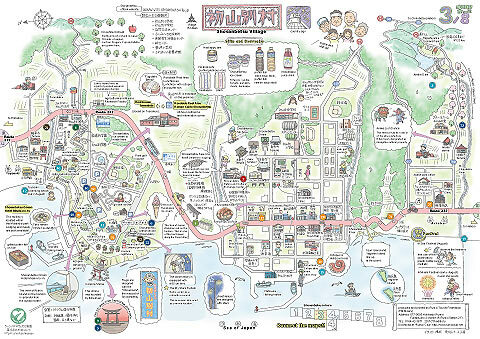 Very convenient for on-foot exploring!